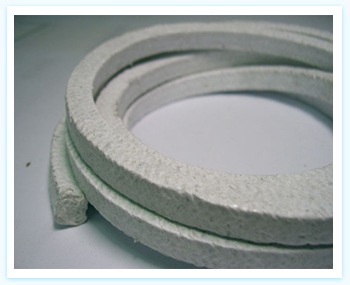 Asbestos PTFE Packing is formed by inter braided method from fine white asbestos yarn to foam very dense and flexible packing. Each thread is individually impregnated with PTFE lubricants. 6mm & Above - 1 Kg., 2.5 Kgs. & 5 Kgs. • Chemical, solvents, oils and petroleum by products and oxygen service.